I love the ombré nail art trend however I lack the skill to actually apply the gradient colour myself! This is an easy fail-safe option for a cute and subtle ombré look nail. Simply apply base coat and colour as per normal. 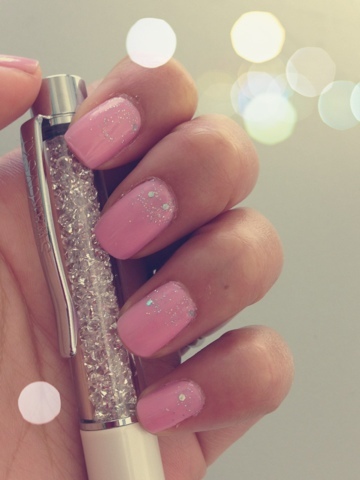 Once dry apply a sparkle polish from your nail bed ending each stroke part way down your nail. Try to concentrate more polish at the nail bed and less further down the nail. Once dry apply a top coat to ensure an even finish! Too easy and so cute!